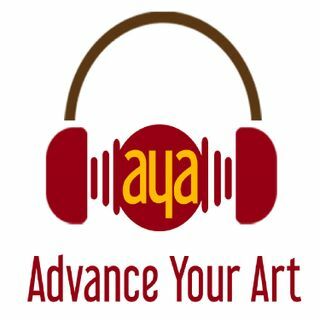 AYA033 Catherine Orer – Why Artists Shouldn't Hide From Money. Catherine Orer is a business and PR strategist for artists and creative entrepreneurs, the founder of the artist-entrepreneur, and the leader of the artist-entrepreneur network. At 26 she was climbing the corporate ladder, making a great living, and living it up in Canada. Even with making more money than she could spend, she wasn't happy. One day she quit her job and moved to France to study the business of art. Now she takes her business skills in the corporate and art world and helps ... See More artists and creatives build solid business strategies. Things we cover – How to talk about money, How to sell your art, How to get started selling your art. Catherine Orer is an award-winning Business & PR Strategist for artists and creatives ready to build a business that fulfills them personally and financially. Through her no-nonsense blog, one-on-one coaching and online classes and community, she’s here to help you get your act together and raise the bar for your visibility & your sales — without having to spend too much time outside your studio. After working as a PR professional for multinational corporations, Catherine started her career in the arts while studying the business at Christie's Education in Paris and working in a contemporary art gallery in the beautiful Marais neighborhood. She later worked on the North American art market in critically acclaimed galleries, international art fairs as well as with professional artists one-on-one, which gave her the versatility and network to create The Artist Entrepreneur.